You can now download your files remotely from the pits without pulling the SD Card. Ideal for endurance racing and teams. Our simple kit allows you to insert the preprogrammed 8GB SD card into your system and begin sharing your files immediately. The TraqDash will create a local, private WiFi network and make the session files available to download in less than 30 seconds once the connection is made. 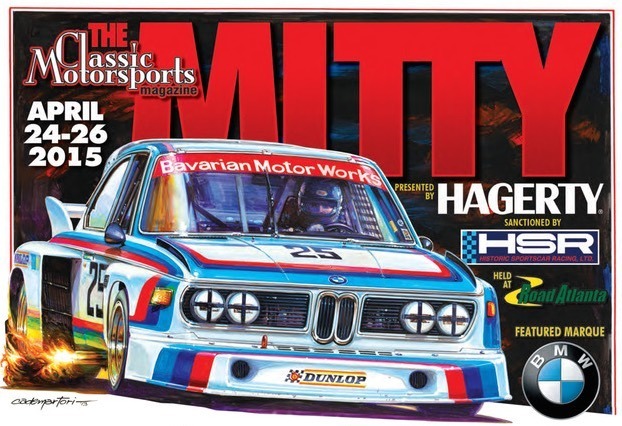 BMW will be the featured marque when the Mitty plans to return to the beautiful Road Atlanta circuit in Braselton, Georgia on April 24-26, 2015. How well does your car grip? Here’s your chance to find out. We’re issuing an open invitation for all car owners to attack our skid pad: any make, any model, any vintage, any modifications. The occasion? Our first-ever Traqmate Skidpad Challenge on Sunday, April 26, 2015, at Road Atlanta in Braselton, Georgia. What: The inaugural Traqmate Skidpad Challenge. It’s a very safe and simple competition: Drive a car around the skidpad as fast as possible while Traqmate equipment logs data from your run. The more lateral g’s the car can produce, the higher it ranks in its class. 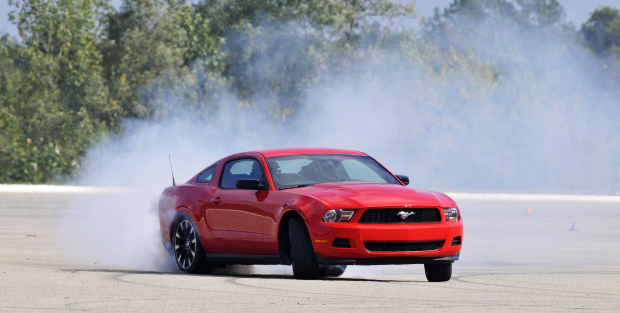 Have you made suspension upgrades on your car? Here’s your chance to witness their effect. Added capability for WiFi downloads (when used with TraqDash WiFi SD card.We have enhanced the race screen backgrounds and improved the help menus and implemented new camera icons for TraqDash USB cameras. We’ve also Streamlined the screen operation and improved Syncing for power drops. Traqmate will be introducing some great new products at this years MSX Show. Wifi Data Download – Coming Soon! 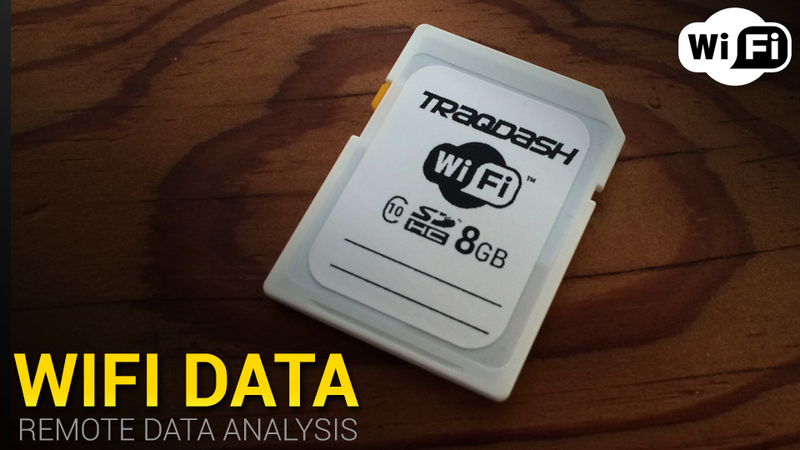 TraqDash data can now be downloaded remotely right from the display without removing the card! This plug and play upgrade will allow any TraqDash to create it’s own WiFi network, allowing you to download saved data files right from the pits or the comfort of your trackside trailer. Perfect for endurance racing and teams. Any Traqmate can be paired up with the Replay Prime X Action Camera to get deep beautiful hi-res color video to complement your Traqmate data. It’s attractive, waterproof, rugged, offers user-selectable field of view, and has an external microphone option. Best of all, the Traqmate TraqData USB module will automatically turn if on/off, start/stop, and charge it! We had a slight delay getting the right cable solution in place but we have a great solution in place for racing season. Any Traqmate can be paired up with the Replay Prime X Action Camera to get deep beautiful hi-res color video to complement your Traqmate data. It’s attractive, waterproof, rugged, offers user-selectable field of view, and has an external microphone option. Best of all, the Traqmate TraqData USB module will automatically turn if on/off, start/stop, and charge it! Two Miatas were equipped with Traqmate TraqDash systems for the longest endurance race in North America. Both systems worked perfectly, collecting many hours of day and night driving and providing the drivers with vital information. The shift lights protected the cars and the predictive lap timers got the new drivers up to speed quickly. The Traqmate systems also controlled and charged two Mobius cameras per car. At Traqmate, we race what we sell. All new products and software is track tested before it gets into our customers hands. We used this tough environment to shake down a new product which will be releasing in the new year so watch for an announcement. It worked perfectly and provided our driver teams with a competitive edge. The red team car finished on the podium in the E2 class against some very solid competition. Unfortunately one of our drivers in the silver team car was involved in a serious accident late in the night when the car ran out of fuel on track while leading the E3 class. The driver is recovering well and is looking forward to next race season. Do you have what it takes to qualify in the dark, in a downpour, and with massive speed differentials between cars? Check out the videos in the link above to watch our two drivers take on the challenge. Great Photos of the entire event by Head On Photos! Great Photos of Car78 by Head On Photos! Great Photos of Car71 by Head On Photos! HSR Classic 24 Hours – Jochen Mass incar video of a 1974 911 RSR. NASA 25Hrs at Thunderhill on Dec 6th – 7th. The TraqDash is perfect for long endurance events and rallies. The SD card storage can hold weeks of data and the camera charging ensures that you record everything on video without changing cards or swapping cameras. Drivers can insert a personal SD card or just select their name on the TraqDash. Cameras set to 720-30 HD with a 64Gbyte MicroSD Card = 25 hours! At each driver stop, we will be analyzing driver and vehicle data. We will be coaching the drivers for consistency, speed, and conservation. To ensure the cars make it to the end with minimal maintenance, we will monitor brake usage, oil pressure, and air/fuel ratio throughout the day / night / day event. We will post up more information on Facebook as the event moves forward. The season is winding down for many racers and its time to get your Traqmate system tuned up for next season. Racing is hard on every component in your car, let the professionals at Traqmate check out your system and make sure it performs just as well as you do. SVRA will again close its East Coast season at the beautiful 3.27 mile VIR circuit. For 2014 the entire track has been repaved and speeds have gone up everywhere. 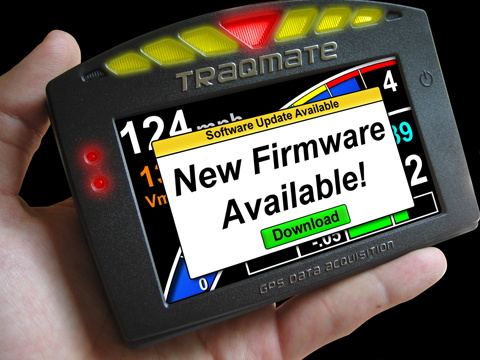 The latest firmware is now available. Check the link below for more details. Traqmate is @ Watkins Glen International raceway for the SVRA race weekend. Stop by and see Glenn @ Garage 14. 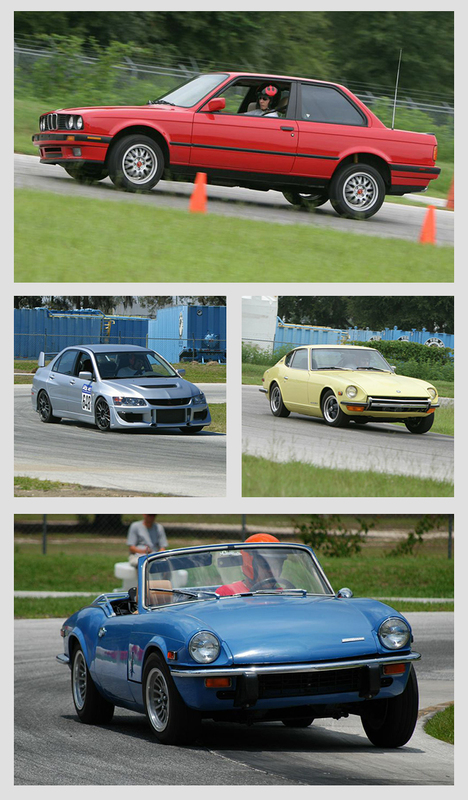 Traqmate will be @ the Nasa Nationals at Road Atlanta . Please stop by DiscoveryParts or OPM Autosports Racing. Traqmate will have representation at the challenging, fast, and newly renovated Pocono Raceway for the first SVRA Vintage Race at this venue in the beautiful Pocono Mountains of Pennsylvania. We will post our exact location on our Traqmate Facebook page once we arrive. Look for Andre’ with the large hat. To get help, find Andre’ or call 877-289-0312.